“Say What You Feel.” Why it works. When to use it. What do you do when a man acts in ways that hurt your feelings? What do you do if his actions leave you feeling neglected or lonely, even when you are in a relationship? How do you communicate angry feelings constructively? Many of the questions I receive from women around the world have a common theme. A man is not giving as much as he could in the relationship and they ask me what to do. Here’s my advice in a nutshell. You should tell him what you feel. But there is a specific way to do this correctly. Done correctly, an open verbal expression of your feelings (without blame) can simultaneously spur him to action, raise your own self-esteem, and increase his feelings of attraction toward you. Let’s discuss how it’s done. There are two critical factors you must keep in mind. The two factors are his emotional reactions and your emotional reactions. These are the only real barriers to complete honesty. Honesty is what we need, but we all know someone who is a little too honest, lacking emotional sensitivity in the way they express their thoughts and feelings. You don’t want to be that person. So how do you find the balance between honesty and sensitivity? No two situations are exactly alike, but I recommend you stick to this basic formula. Focus on describing your sad or hurt feelings while minimizing or completely leaving out the various ways he caused you to feel that way. Be completely honest about the emotions you are experiencing. He will either guess why you feel hurt, sad, or angry, or he will ask you why you feel hurt, angry, or sad. Either way, try to keep the focus of discussion on your feelings, as if you are leaving it up to him to figure out what he needs to do about it. It’s okay to say a sentence or two about the disappointed hopes or unmet expectations behind your feelings, but do not get into accusations or even a discussion of what he did wrong. You are not responsible for correcting his course of action. That’s his job. If he values his relationship with you, he will work hard to figure out how he blew it with you. There is a certain level of self-esteem and self-respect that comes from owning our own feelings but not begging or pleading for someone else to change the way they are impacting our feelings. He will realize you are independent and in control of yourself. He will realize he needs to change his own behavior quick if he wants to keep you. This works so much better than focusing on what he did wrong. The knee-jerk human reaction to accusations and blame is defensiveness. When someone doesn’t seem to be on the attack, defensiveness goes down. What’s more, it puts him in a position where he is actually seeking information about how he can improve. Instead of you shoving the information down his throat in a way that makes him feel angry or defensive, you simply state your feelings as feedback he needs to be aware of regarding the outcomes of his actions (or inactions). I know this can be difficult. Our emotions make it easy to slip over that edge and really let him have it once we breach a topic that has been bothering us. I only ask you to strive for implementing this formula. Don’t try to be perfect. So the next time you find yourself wondering what you should do when he lets you down, think about the underlying emotion you are experiencing. Take the focus off of his actions. Instead, focus on gently but honestly and openly expressing how you feel. Don’t play games or act mysterious. That will drive a man crazy. You are going to avoid direct questions if he asks you why you feel sad. You will answer his question with a factual statement about how you felt when he did such and such an action. I’ll give you an example in a minute. Your response to a direct question must be spoken softly, with appropriate eye contact and absolutely no vengeful or bitter anger. Remember, you want to attract him with your strong self-esteem. People with good self-esteem do not express themselves with hate or vengeful anger. When he feels attracted to you, he will want to do what he can to win your love and keep you. Notice that in this example, Teresa told the honest truth while focusing on her own thoughts, expectations, and resulting feelings. She did not say things about how rude and insensitive he was. She did not say something like, “I mean, come on! An hour late? That’s ridiculous!” That kind of response would just bring up his defensiveness and lead to arguments that make you both feel worse. When you openly express your own emotions, and leave out the accusatory remarks, you are inviting him to make amends. You are simultaneously acting in a way that will cause him to respect you more and feel more attracted to you. Essentially, this formula is designed to bring out the best in the man you are with. This formula will be somewhat helpful no matter what, but to supercharge the effect; you need to use it in combination with the respect principle. 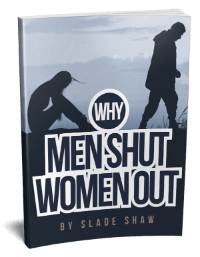 If you have not already implemented that set of irresistible male attraction triggers, learn more about it here. This entry was posted in Communication, How To and tagged emotion, expressing emotion, expression by James Bauer. Bookmark the permalink. I really liked this post and wanted to share some of my story. Few weeks ago my guy and I went camping in France. It was a really hot day and we didn’t get much sleep so he was not in such good mood apparently. Back from the beach we were putting the stuff back in the car and it didn’t go so smoothly when I tried to pack up the sun screen. He ended up making an unfriendly comment ‘she can’t do anything right’. Mostly when something got lost or is broken or goes wrong, there are always comments blaming me. It is a less sympathetic and insensitive side of him. I mostly just try to ignore it but that day this comment felt like the final straw and it made me feel so sad and unworthy. I went cold and closed up all night until bedtime where I started crying and probably being angry with myself for tolerating such unkind comments. It was a very deep cry and release of all my hidden sadness and resentment towards him. When he came to bed he asked me if I needed some water and noticed the crack in my voice so asked me if I had been crying and if something was wrong. I felt extremely vulnerable since I almost never, ever tell him how I really feel since I don’t feel that he hears or appreciates or even what gets what I say. But I was in this place of ultimate honesty and vulnerability and told him I felt so sad because of his comment. I felt heard finally, I felt his heart open and wrap it around me to protect me. He hugged me so tightly and I really felt how much he regretted having me feeling that way because of his stupid comment. Gosh! It is sooo important to always be honest about how you feel, no matter how uncomfortable it may seem or how afraid you might feel. Playing games or hiding away never works on the long term. You are so right! It is very important to be honest with your partner about how you’re feeling and it can also be scary. I’m proud of you for standing up and letting him know how his words were making you feel. Hi James, thanks so much for the information today and yesterday. It really helped me to sort through some issues that I was having with some one as well as myself. When I first met the guy who I came to really really like and then I found out he was married. So I had to deal with all of these issues because I chose not to continue with this relationship. It is painful I am usually somebody who likes to please everybody esp. him. It has been a learning experience for me and has caused me to grow. Thanks for your insight and helping me and others to grow and lean the art of communication with the male specie. I’m in a relationship with this man. For the past two month He left for NY for a 2months visit.I knew he was expected to travel ,what I didn’t know was the exact date . we spoke the Thursday night before bed like we always do. I called him at Friday midday only to be told I left ,I’m on my way to NY. Before he left, we had ta!k about being in contact daily. Now he’s there I hardly hear from him.I have decided to stop messaging or calling. He have not tried to contact me either. Its been a week since I last heard from him. At this point what should I do? I’m feeling used and neglected. Hi, not sure if you will reply, but I would love it if you did. My bf was so sweet when we met and used to say the most romantic things. We’ve been LD for about 4 months, but he should be back next month. He doesn’t say anything anymore and when I got emotional before he left, he didn’t respond well, so now I just bring things up almost as a joke. He’s not changing and I’m feeling more anxiety and lonely. I try so hard to show and tell him how much he means to me. How do I get that across to him in language he can understand? That I need more romance and affection and consistent texting. Thanks. Hey Brianna. It sounds like you really like this guy! So I can understand why you want to give the relationship some time to grow despite the fact that he’s not really meeting your emotional needs. He’s essentially leaving you feeling lonely even though you’re in a relationship. That’s not good, so I applied you for doing something about it. How certain are you that he knows exactly what you need in order to feel happy during this long distance period of your relationship? I mean, you explained it very clearly here. I wonder if he was to somehow read this message from you whether a lightbulb would suddenly go on in his head. If not, there’s a deeper issue. But if it’s simply a matter of ignorance (meaning he really does want to love you and make you feel loved) then the topic of my blog post (and its conclusions) probably do apply fairly well in a situation like this. He’s not even aware. I brought it up a few times as a joke, like where’s the guy who made romantic comments, but that’s it. I just am confused why he was like that so much in the beginning and now, nothing. I definitely have to speak to him this weekend when he’s here just for a few hours. Thanks!!! Hi Julia. In my experience, the question “where do things stand?” needs to be based on what’s actually happening rather than what people say. Without asking him anything, and without having “the talk,” how would you answer this question: Based on the relationship we currently have (when considering actions rather than words) what kind of relationship can I conclude we have at this time? How can you tell him what you feel about something he did without placing yourself in “victim mode”? For instance if my boyfriend is reluctant to tell his family about me and it makes me feel that I am not “good enough”. Even if I know the real reason has nothing to do with how good I am. It is that he has always been judged and critized by his family and doesn’t want to upset them or become critized because he broke up with his long time girlfriend (that they are found of) and become together with me. Thank you very much, James, that makes sense! Hi Lena, I know James responded to you with some sound advice. I’ve been in your position, I’m also much more assertive than my boyfriend, and it really got me upset when I felt he didn’t “stand up” for or “defend” my honor. Which meant when we in this sort of situation, I was stressed, which he felt. I shutdown when I’m like this, which makes me look stern and very unapproachable. This made him more wary and cautious, which then would set my teeth on edge! Leading to conflict that had nothing to do with what really was the issue. By me perceiving that he was not acting for us, I felt unimportant, lower than an earthworm, unloved, churlish, hurt, angry and frustrated. I’ll share something that works for me. I turn the situation around. You’re wanting your boyfriend’s reassurance and acknowledgement of your place in his life – not his family. But still want them to like you. Just as he wants your approval and needs to know you’re happy with him. With love and positive intent (it can be difficult to feel this), wrap him in a hug – ” I would like your family’s like and approval, I am nervous that they won’t. I’m going to need your help to give me a glowing recommendation, so that I can gush about what a wonderful man they’ve gifted me with. What do you think? Too much? Yes, no? This helps you become a united force, you can laugh about it, it relaxes the situation. Like James says, when you focus on what you want to feel and express those positive feelings rather than what you don’t want to feel, your result is a lot more desirable. If you sense your boyfriend’s discomfort or nervousness, stand by his side, silently hold his hand. This type of action will speak volumes of your character and feelings for him. He will feel it, they will see it. You may not have any control over how other’s feel, but you do have a choice to bring out your sunny, positive side. Thank you very much, Colleen, you put James’ advice into practise. Very helpful and I can soo much relate to your emotions that shines through here! I am so appreciative that you re-post these articles over periods of time. Thank you! I noted with surprise that I commented on here several years ago. Your advice, and article was sound, but without fully understanding what I had to do, the advice did not resonate as soundly as it does now. I’ve taken an amazing journey of self-growth and personal improvement since then. We actually split up not too long after my comment to your article. We’re now back in each other’s space. With much more wisdom, healthy interaction (to a point), and mutual respect. I knew, as your article states, this is the way I need to get through to him, but needed some sort of kick in the right direction. Keep those articles coming… they’re much appreciated! Thanks, Colleen. I’m glad you found inspiration from this article (twice!). I hope things go well for you as you begin the process of sharing a vision for a better relationship with him. Hi! yes totally agree with this …My therapist taught me how to do this years ago BUT it doesn’t work with someone who is emotionally unavailable and unhealthy….I like to believe their is good in people but this last guy I dated …after a month of dating he forgot about one of our dates. (Which I let him know that was NOT ok with me)..Which I don’t understand how you just forget about something like that he was apologetic and said he wanted to make it up to me so he asked to take me to dinner my choice so i suggested the grove it’s a beautiful outdoor shopping center that has a farmers market and he said to me i can’t afford dinner there (NOT expensive at all by any means and this guy is 43) and then proceeded to say I HATE THE EFFIN GROVE that’s how he texted me…and told me I was cheap for not wanting to split it him…after that I was… I don’t deserve to be treated that way….and told him to forget it and blocked him….I was SO disappointed and why would someone be that horrid to another person…I just don’t get it….I was in SHOCK and this happened very early on…good riddance i know. THX for the good advice. Because I’ve purchased and read “How to make him Desire you” I tried this angle. I tried to establish a safe atmosphere for me and my new partner to discuss an challenge we are both facing. I gave him his space and time. I finally called…I had to. No answer. I sent a text so that he knew I had a couple good things to share with him. He said let’s talk tomorrow, he was tired and had a headache. I sent an email sharing my thoughts and feelings and sharing my respect for him and our new beginnings acknowledging that we are two good people who do like each other who are going through a rough patch…hoping we could press the reset button, whatever that looks like. Note that the issue we are experiencing is predominantly his doing, however I’ve owned my part and instead of applying blame tried to work through this with him. Instead, he is behaving as if I’m the bad guy and witholding communication and distancing himself from the situation and the friendship. When “tomorrow” never came, ten minutes before this article came through I pressed the send button on a much different response to his absence and neglect. I blasted him! By this morning is when I received a response acknowledging that my feelings are hurt and that he will call me to discuss since that is “the appropriate thing to do”….It’s awful that I could only get his attention when I unraveled on him and to accept his call at this point would be nothing more than patronizing. All this to say, I tried it both ways and regrettably I’m dealing with a person with avoidance issues and either way I feel I’ve lost him. Overall though James…thanks! It is good advice IF we’re dealing with a mature person who can address grownup issues like grownups. Sorry you are going through all that, Monique. It sounds like you have done your part. You can’t create a good relationship without some help from the other person. Although you might get better results with the methods described in this article if you channel angry feelings in a way the other person is more likely to be able to hear without getting defensive. We dated just for 3 times (before that he was showing obvious interest-we are colleagues), then he stopped contacting me. I was busy for several days and I was traveling for couple of weeks (he knew that) but he did not contacted me. Long story short, after we met again and talked he said he met another woman, and he is dating her. So that was the end. We did not contacted or met after (for about 3 months we did not met by accident even). Meanwhile he broke with the girl he was dating, he dated another girl and broke up… I noticed he dates a lot. He divorced for about 3 years ago. I think he have several good qualities , and he is a very nice person. We are very good as friends, and I really enjoy talking to him always. How I can learn if there is any potential? and what is the right thing to do? I know he might be hurt from the past and he needs time, but I feel he likes to have a relationship from what he says, and all his friends are married. For several months I have been very confused with the situation, but I feel it has great benefits for me to learn a lot. You have been one of the best resources taught me many things, thank you! 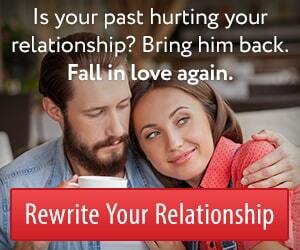 With the way your relationship has unfolded in the past, did he always take the lead? If not, consider that he may be in the same situation as you. He may wonder if there is any interest in starting things up between the two of you again. If so (and if it is appropriate in your culture) you could tell him you would consider it if he decided to ask you out again. This leaves room for him to still take action (taking the lead) while eliminating his hesitation if he does have an interest. My man changed his settings on FB so now when I post a picture or status update tagging him, none of his friends can see it. THAT hurt my feelings and I feel he has something to hide. He denied changing his settings and accused me of over-thinking things. There is only one way to change settings and that is manually. How do I approach this with him? Hi Lindsey. I really think the approach outlined in my article fits in your situation. You told him what you think, but you really need to explain how you feel. Talking about feelings allows him to see why his actions matter. The primary feeling you have is fear. Say something like, “I know it probably sounds irrational to you, but it makes me afraid that you don’t want your friendship group to see me as your significant other.” While his initial response may still be defensive, he’ll probably come around to address your fear more directly. He will probably also understand your perspective better. Even if he doesn’t reverse the changes on Facebook, you will have succeeded at showing him a sensitivity that he should avoid trampling on in the future. We my man and I have been together for 8 years.. The good bad and ugly.. I told you from the start that I wanted an exclusive relationship. I didn’t even speak to my old boyfriend when I went to Chicago for ***’s birthday (did not even tell him what dates I’d be in the city). *** told me he was hinting that he’d like to attend the party when he dropped off my stuff that was at his house (I had only asked for the dresses). Since you told me you want variety, I’ve decided to leave the square dancing to your other lady friend; I was only trying to learn because it’s important to you. For the time being, I’ll just keep our regular Saturday-Sunday tryst. You can have the rest of the week for her (just change the sheets and have a good bath in-between- LOL). I’m putting a new profile up on C***.com to see if I can find myself a one-woman man there, but in the meantime, I DO ENJOY you. And I did love you. The thing that most impressed me the day we met was the fact that you care enough about your mother to put the time you spend with her first. I was also impressed by your many talents in having helped your parents build their house and the fact that you work in lapidary and silver, have kept bees and done brewing. Once I relocated, I had plans to try those two latter with your help. I also wanted to do more camping events, and had contacted *** regarding a camp toilet of wood to cover a 5-gallon bucket and was planning to buy the shower enclosure and solar bags. Now, I have no future plans until I have a boyfriend. I think you would do best to cut it off all tgtr or accept things as they are. You half way stand up for yourself to say you don’t want an open relationship only to then say you are willing to still have “FUN” on weekends. Either leave or stay but don’t try to play tough girl hoping he will beg you to stay because even I a stranger can read that’s what you are doing. You don’t really mean your words that you are ready to walk. You are begging him to pick you. This will cause him to do opposite and pick her. I am in a really lovely relationship with a man who writes me poetry and tells me how much he loves me often. I have really studied and prepared for this relationship. We have been together only 2 months, and know that what I have learned from you and others have brought me to this wonderful place with a man I very much love back. This said, sometimes I get scared when he also says things like “if we are still together then” or writes “if our love continues to stoke the fire”, etc. You get the picture. We try not to get overwhelmed thinking of the future, but do dream together. I know it’s the reality of only knowing each other a short time and that the truth is, none of us know the future and it’s important not to get ahead of ourselves and to keep true communication. But still, I get worried that he is putting a distancing thing in the mix… I feel these kinds of insecure feelings are from fears, not strengths, and maybe are something we need to deal with on our own rather than bringing them up. Any thoughts? Hi Maria. The examples you gave are well within the limits of normal speech patterns people use when talking about a relationship in the future (at least when you’ve only been dating for two months). The more you value something, the easier it is to let fear take over as you begin to fear losing the thing you value. Fear has a way of destroying good relationships. I think it would be best if you looked past the fear that his comments might be some kind of secret message intended to keep you distant. Instead, allow your irresistible qualities to shine by thinking more about what you do want in the relationship and less about the unknown.